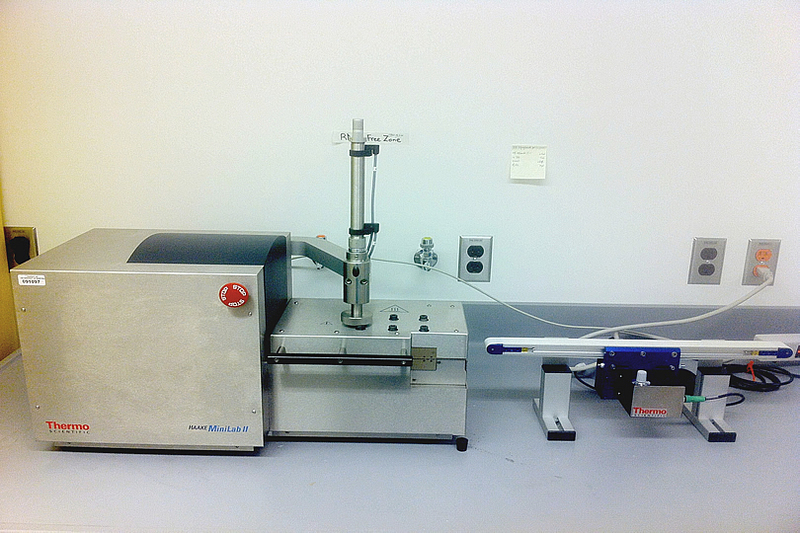 HAAKE™ MiniLab II Micro Compounder is designed to provide with precisely controlled reactive extrusion of high viscous melts using only a sample amount of 5 grams. 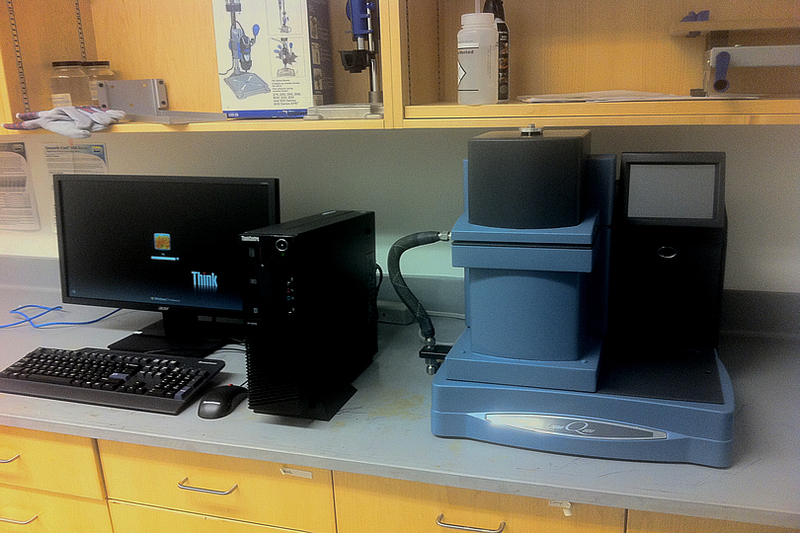 Zeta potential analyzer using phase analysis light scattering with titration unit. 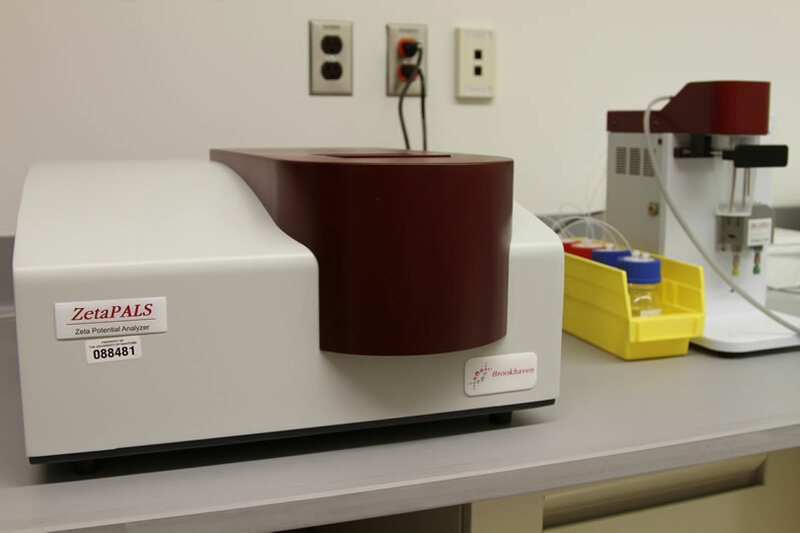 ZetaPALS determines zeta potential using Phase Analysis Light Scattering. 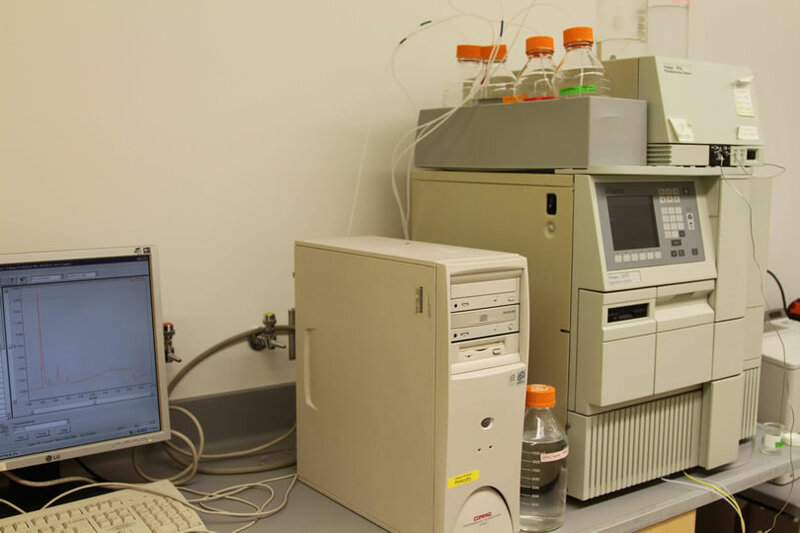 TA Q800 Dynamic Mechanical Analyzer (DMA) for biomaterial characterizations such as viscoelastic behavior of polymers, glass transition temperature of the materials, etc. 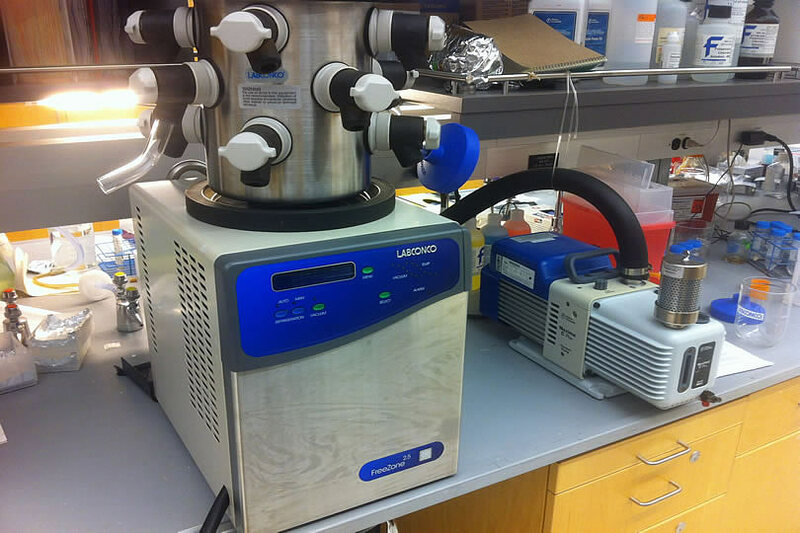 LABCONCO® FreeZone 2.5 Liter Benchtop Freeze Dry System equipped with Fisher Scientific Maxima C Plus Vacuum Pumps. 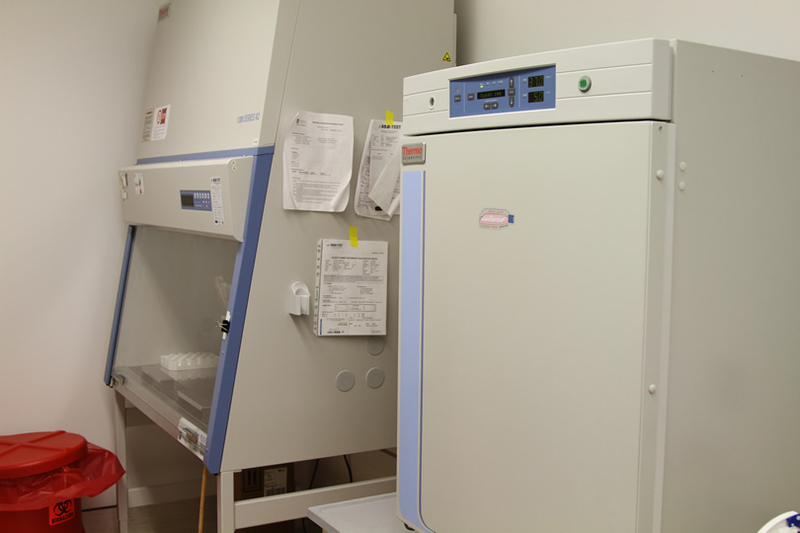 Constant climate chamber with ICH-compliant illumination. 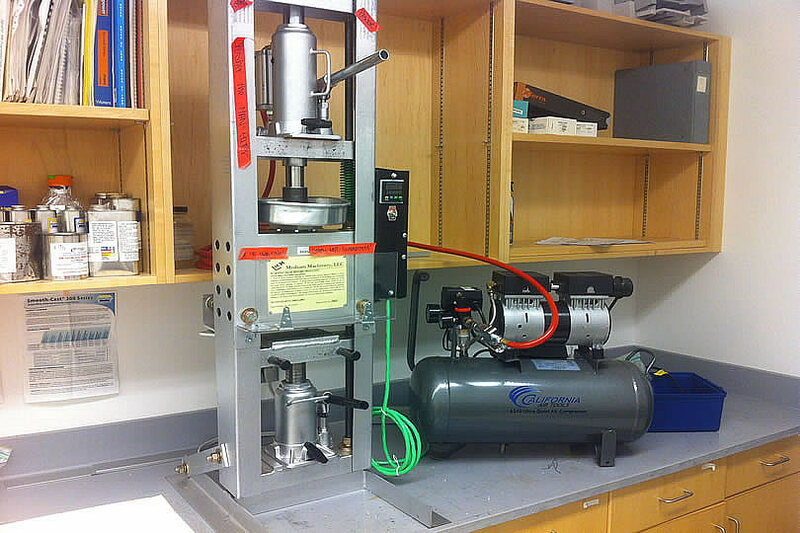 Benchtop medium duty hot injection molder from Medium Machinary, hooked up with California Air Tools 6310 Ultra Quiet and Oil-Free Steel Tank Air Compressor. 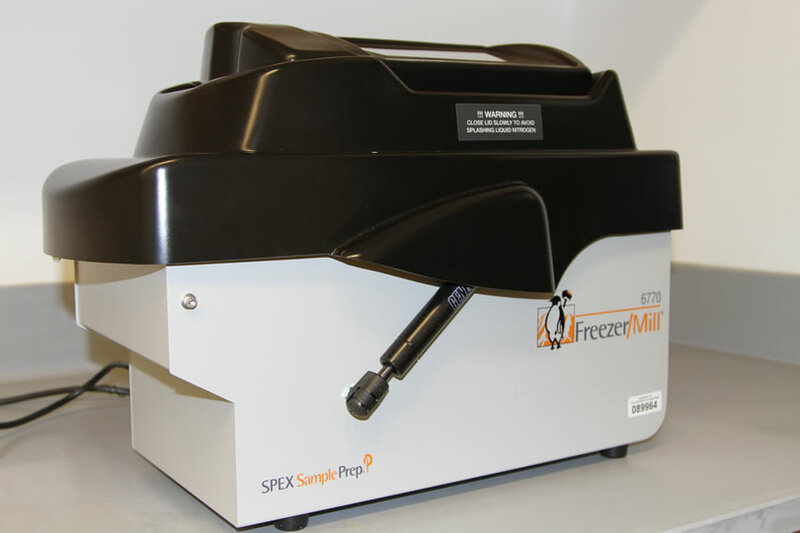 6770 Freezer/Mill® is specifically designed for cryogenic grinding and pulverizing of tough and/or temperature sensitive samples immersed in liquid nitrogen. 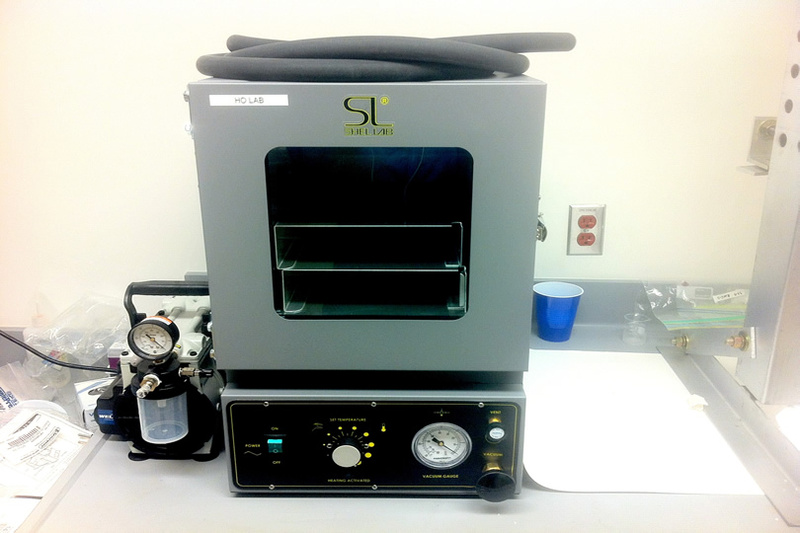 SVAC1E SHEL LAB Vacuum Oven, 0.6 Cu.Ft. (17 L) equipped with silicone gaskets for fast and gentle drying of heat sensitive materials. Roto-Shake Genie provides easily converts from rocking to rotating. 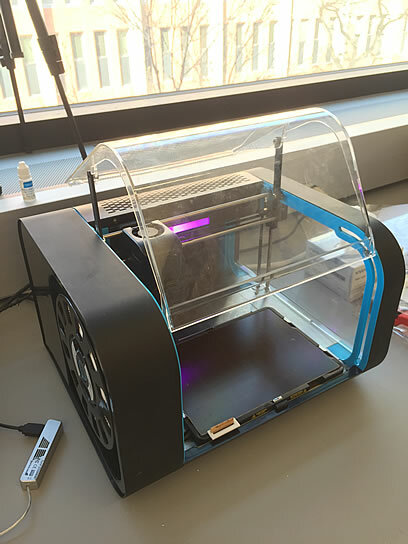 A speedy dual-nozzle 3D printer with Fused Filament Fabrication (FFF) technology. 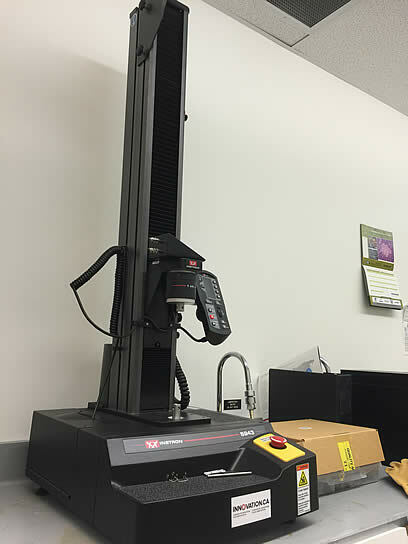 5943 single column tabletop testing system for low-force mechanical testing. 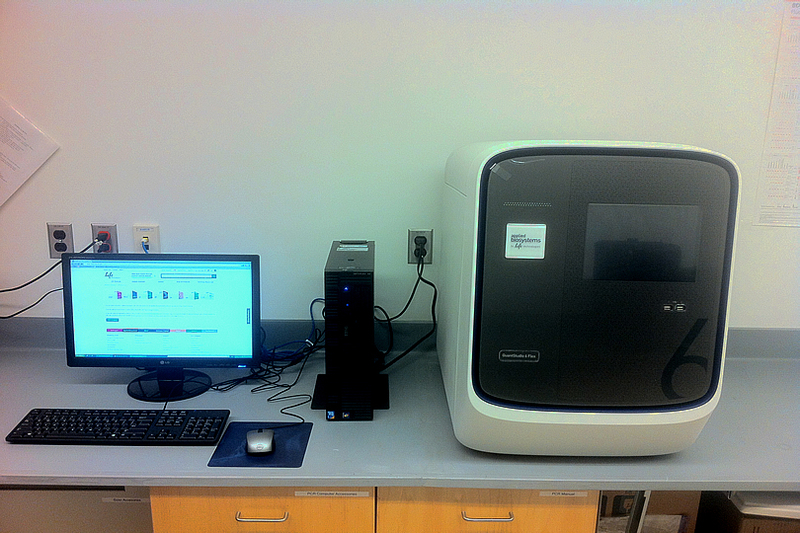 Applied Biosystems® QuantStudio™ 6 Flex Real-Time PCR System facilitates real-time PCR based applications. 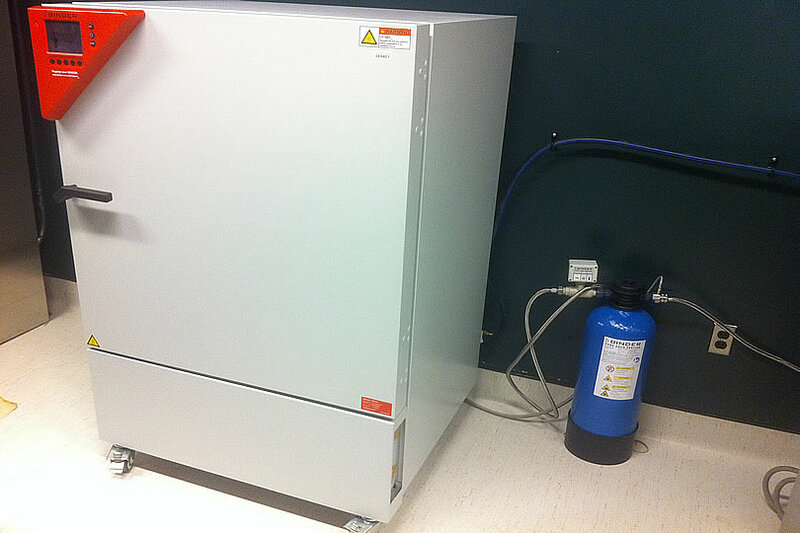 Thermal Scientific 1300 Series A2 Class II, Type A2 Biological Safety Cabinet and Thermal Scientific FORMA 370 Steri-Cycle CO2 Incubator. 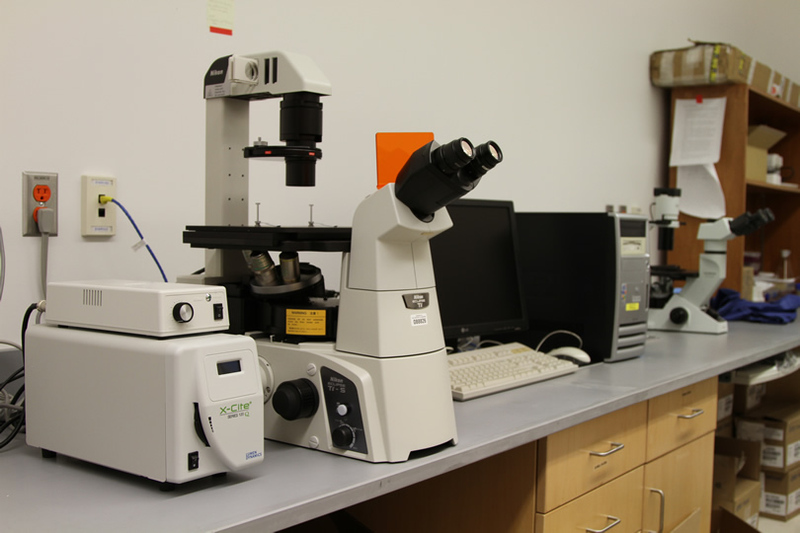 Nikon Inverted Microscope Ti-S equipped with a TI-FL Epi-fl Illuminator and a DS-U3 DS Camera Control Unit and powered by a TI-PS30W for white field light source and a Lumen Dynamics Cite® 120Q for fluorescence light source. 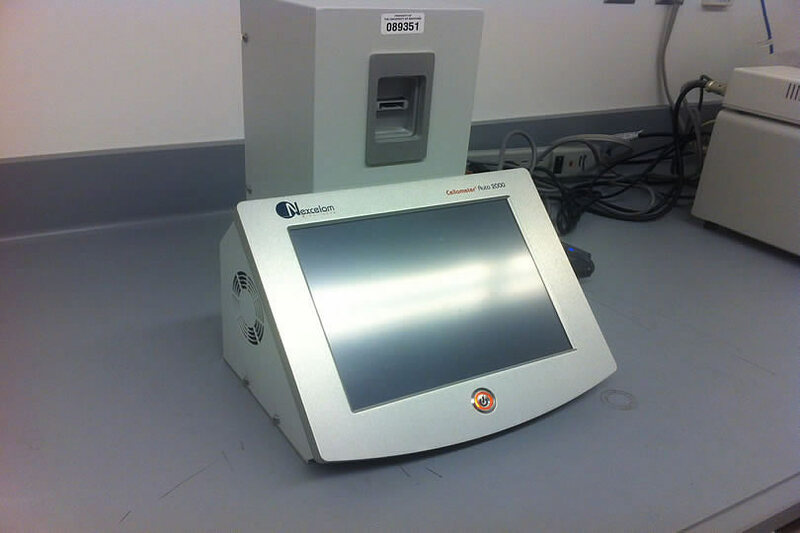 Nexcelom Cellometer Auto 2000 Cell Viability Counter utilizes bright field imaging and dual-fluorescence imaging to quickly and accurately identify and count individual cells. 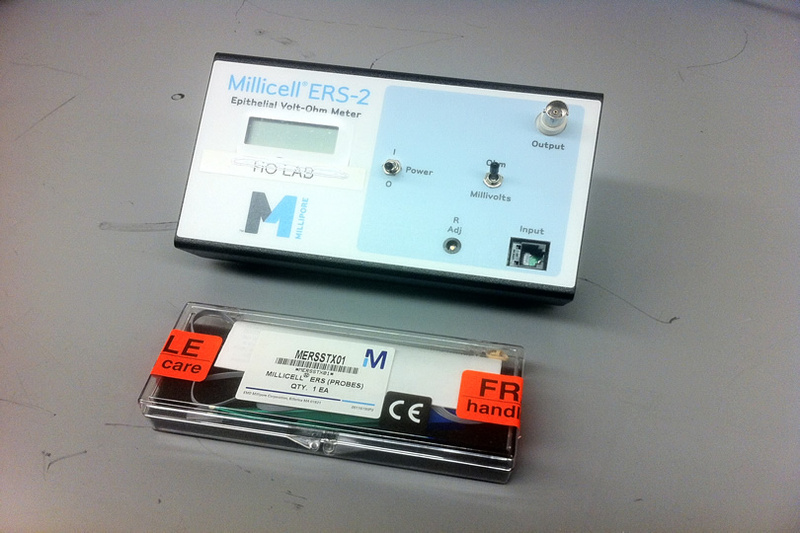 The Millicell® ERS (Electrical Resistance System) reliably measures membrane potential and resistance of epithelial cells in culture [or the Trans Epithelial Electrical REsistance (TEER)]. 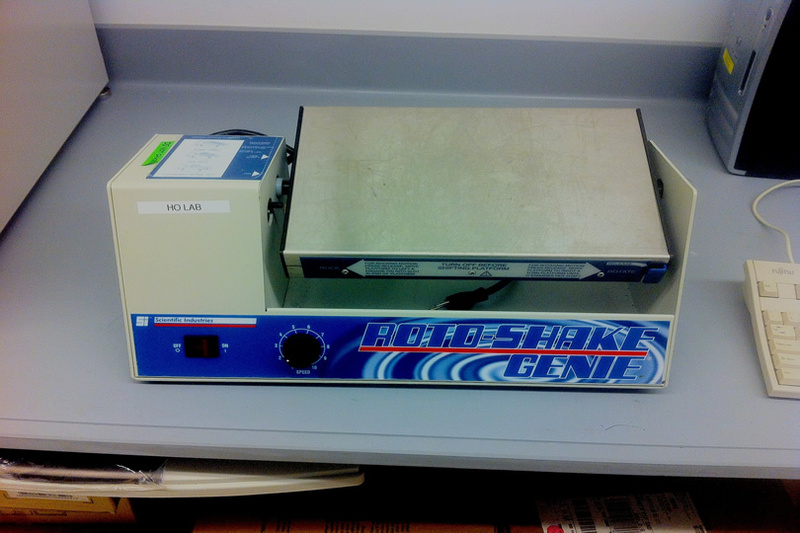 Waters 2690 Alliance HPLC Separations Module with Waters 996 photodiode array detector.